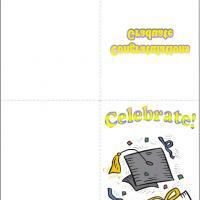 These printable Graduation cards feature a mortarboard and diploma with Celebrate! written in a fun colorful font. 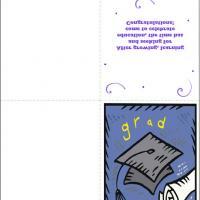 Congratulations graduate is written inside these free printable cards. 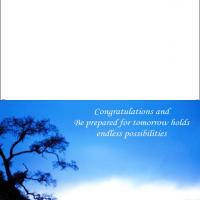 Print this quarter page size card and greet someone as they celebrate a job well done in graduating from their studies. 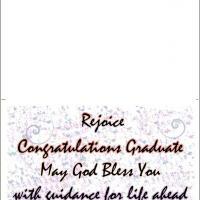 This card would be useful for any graduation occasion - high school, college or even elementary school. 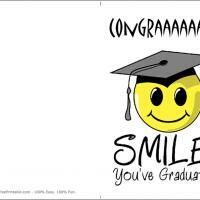 Remind your graduate to have some fun after all their hard work.